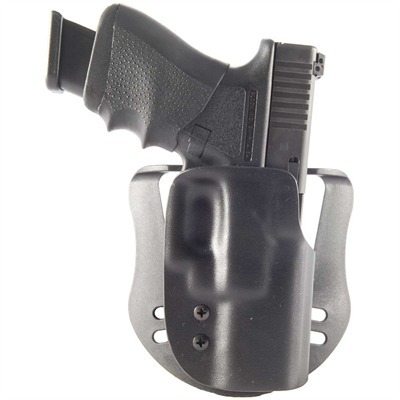 Pancake-style holster made from high-grade injection-molded polymer provides secure comfortable concealed carry excellent belt stability and smooth quick presentation. Positive Lock Trigger Guard™ retains the weapon securely by locking into the triggerguard. A single adjustment screw lets you set the precise amount of retention force. Open top for a quick obstruction-free draw. 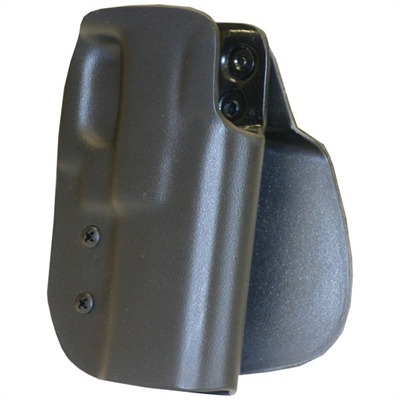 Semi-flexible polymer won't dig into your side yet holster won't collapse when the weapon is removed enabling easy one-handed reholstering. Contoured profile fits snug against the body in the FBI cant and dramatically reduces firearm "printing." Protective channel keeps sight fro Mfg: Blade-Tech SPECS: Injection-molded polymer resin black matte. Fits 1¼" to 1¾" belts. Right hand only. 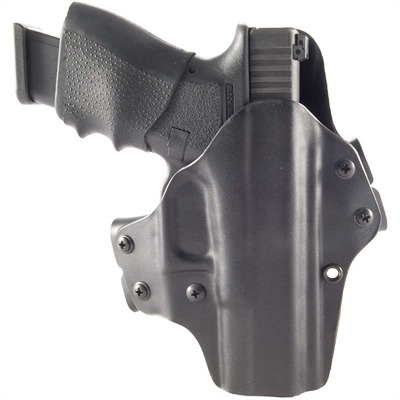 Models available for Glock and Smith & Wesson M&P pistols. M&P 45 fits 4½" barrel. Kydex provides long-lasting weapon and shape retention plus it stands up to the harshest environment does not squeak and it’s impervious to solvents and oils. Tension screws allow you to adjust retention. All models include reducers for 1½" and 1¼" belts. 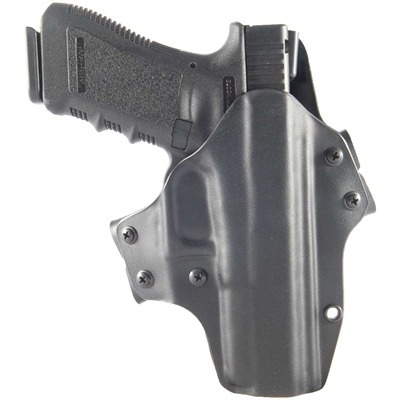 All Glock holsters accommodate Aro-Tech and Crimson Trace Laser systems. Paddle model has three-way adjustment for carry angle FBI cant straight drop and muzzle forward. 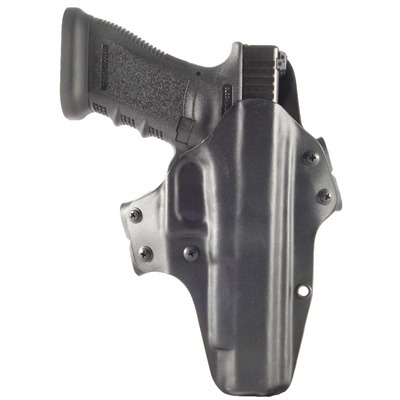 Wide comfortable paddle with adjustable retaining keeper holds the holster to the waistband. Belt model has straight-up carry angle provides fast draw and close comfortable carry. IDPA approved. Mfg: Blade-Tech SPECS: Kydex black. Fits belts to 1¾" (4.4cm) wide. 1911 models molded for standard Colt-style slides. Oversize aftermarket slides may not fit.